Now available on iTunes and VOD and also playing in select theaters is Chris Evans’ directorial debut, Before We Go. 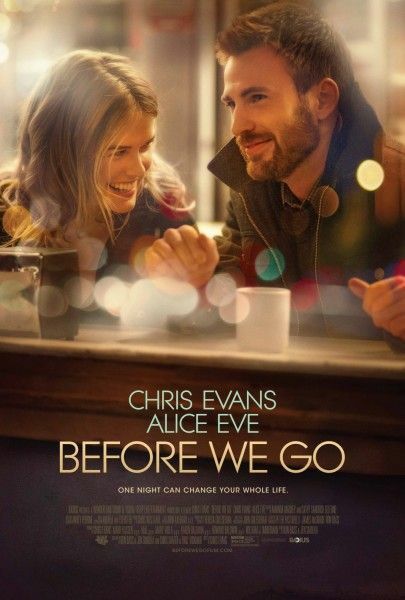 Set in Manhattan, the story follows two strangers (Evans and Alice Eve) after their unexpected meeting in Grand Central Station. As the hours progress, they form an unlikely bond and the conflicts in their own lives become the basis for exploration into each other and themselves. For more on the film, watch the trailer. Is it true he became an actor/director to get better seats at Fenway Park and Patriots Place? Talks about how he’s never met Tom Brady and he really wants to. What was it about this material that said he had to make it? Talks about how he had to put himself in the movie to get it made and didn’t want to take on anything that was too ambitious. Looking back now, is there something he wishes someone had told him before filming began? Has he located the next project he wants to direct? It’s a studio gig.